Property 54: Ocean Bluff Home on the Hamakua Coast ~ Great for Families! 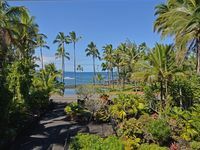 Property 57: Ocean Front Property In Kaloli Pt.. Enjoy Our Low Introductory Rates. Property 62: Ocean View, A/C and Walk to Rainbow Falls and downtown. Property 66: Ocean view condo w/ private lanai, shared pool, & full kitchen! Property 67: Private & Serene. Artsy Oceanfront Home; Pool & Spa; Bikes; FUN! 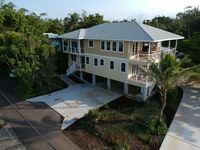 Property 69: Kahikole - Oceanfront, private two-story home with AMAZING views and privacy! Property 73: Pali Hale - Hawai'i Oceanfront Experience - Whales, Turtles, Nenes! Sweet retreat close to the ocean. Where natures sights and sounds delight soul. Property 78: Sweet retreat close to the ocean. Where natures sights and sounds delight soul. Property 83: Modern House w/Private Yard in the Heart of Hilo! Property 84: The Birds Nest is ideal for those visiting for Merry Monarch! Property 86: Beautifully restored Historic Home. Walk to Honomū Town! Property 88: Best Hilo Beach Park House. 6 Bdr/5 Baths. Sleeps 20. New at Richardson's Park. Property 90: Fifth floor condo w/ lanai, shared pool, & ocean views - steps from the beach! Eco Living... New Off-Grid Contemporary Home!! Property 94: Eco Living... New Off-Grid Contemporary Home!! Property 97: OUR AREA IS NOT EFFECTED BY THE RECENT VOLCANO! Absolute Oceanfront! Property 98: Big Island Oceanfront Home - Great Whale Watching!